Q: Dear Hip Tranquil Chick: I'm heading to my parents respective homes for the holidays. It's always incredibly stressful for me and I am looking for strategies to stay sane during the ordeal: spending three night each with my divorced parents in their respective households, six long nights, seven long days .... and I just don't know how I'll get through it. I know you're number one rule for sane holidays is creating boundaries and saying yes "only when you mean it"... but, for a myriad of reasons too complicated to go into here, I simply must go on this dreaded trip, and, at least for this year, there is no "skipping" the trip and staying home curled up with a book (even though that sounds absolutely divine). So, in a few weeks, I must leave my hip tranquil life to head into the chaos of my very toxic, very difficult family. I will be sleeping on sofas and won't have any private space of my own (so, there's no hope of retreating to a quiet bedroom and escaping the chaos for very long). The only strategies I've come up with so far are taking a walk or taking a bath to get some space and peace... any other ideas? I'll be loading up my ipod with your podcasts and bringing my journal and some good books, but is there anything else you can think of to help me get through those six nights and seven days (139 hours, and yes, I'm counting the hours)? As hip tranquil chicks, you encourage us to create the life we want and to avoid that which brings us down and makes us unhappy... but what words of wisdom, advice, suggestions do you have for us hip tranquil chicks who are sometimes compelled to spend time with unbalanced, stressful, difficult and unhappy people? - Shop through vendors that will help the less fortunate (www.globalgirlfriend.com, www.alternativegifts.org). Your recipients will be honored by your thoughtfulness. - Need to whip up a great holiday meal? Consider buying organic from a local vendor and support your community by giving back. - Light your tree with low-energy bulbs and recyclable trimmings, recycle those wine bottles and eggnog jugs, plant a tree in honor of someone through the Arbor Day Foundation, and forgo wrapping paper for other creative re-usable alternatives. String cranberries and popcorn, wrap a gift into a shoebox covered with a brown paper bag and reuse tissue paper. - Send greetings cards on recycled paper, make your own, or better yet, email! - If you do end up at the mall, bring your own bag to fill with goodies rather than consuming unnecessary plastic bags. - Stay aware of your intentions, actions, and thoughts. Why does a particular person bother you so much at that holiday get together? Why is it so important to you that a particular gift is wrapped a certain way? 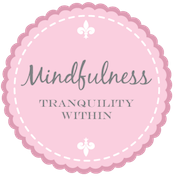 Taking time to stay mindful gives us a glimpse into areas we can grow this holiday season. - Take a moment to sit in stillness. This can be done in the metro, in line at the store, or even in the restroom at a grand gala. 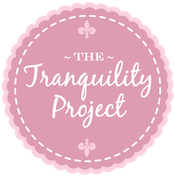 You will be exuding tranquility in no time! - Carve out some “moi time” for refueling, especially when energies can run incredibly low. Helpful hint: legs up the wall! - Didn’t get that perfect gift from a special someone? Did the holiday dinner you organized turn out with a burnt entrée? Practice letting go of your attachments to expectations and outcomes and this holiday season will be smooth sailing. - Do you feel like the holidays have to be “just so” or they aren’t complete? Do you cling to outdated holiday rituals that no longer resonate with you? If so, explore letting them go. - Stuck inside with the holiday blues? Pull out that yoga mat in front of the fireplace and indulge in a few sun salutations or enjoy the sensations of a few yin poses. My fave: dragon. - Enjoy a brisk walk through the snow with a friend or loved one, rake leaves, cut wood, or decorate your home with holiday trimmings. They are all guaranteed to fight both the stress and blues of the holidays and bring awareness back to your body. - Through long lines at the store, traffic jams, airport delays, and stressful holiday moments with friends and family. Return to your breath each time and honor yourself for taking a step back to relax. - Your breath will bring you back to the present moment. - In addition to the 3-part yogic breath, there is also the alternate nostril. - Time, money, gifts, and gestures are all different forms in which you give to others during the holidays. Often times, a true authentic gesture of volunteering your time or helping others is much more appreciated than a grand gift. - Help serve meals at a homeless shelter or keep some animals company at the local humane society. - Organize a clothing drive or fundraiser to donate some goods to the organization of your choice. - Gather your girlfriends for a small soirée to appreciate each others’ company. - And finally, give yourself the option of saying “no” when you feel you need to do or give out of guilt or pressure. - Who said that holiday cards from years past couldn’t make great decoration for this year? Display your fave cards in a creative way instead of buying new trimmings. 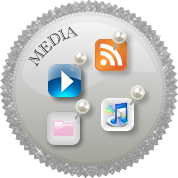 - There are plenty of online services that offer gifts that can be customized with your special photos or words. Coasters with pictures from that trip you took this summer or a children’s book with the child’s name as the hero all make great gifts. - Instead of watching that holiday movie with your family for the 20th time, organize a fun holiday game or contest to get everyone involved. Gingerbread house contests or holiday ornament making are some fun ideas. - Take a moment at the end of the year to give thanks for the lessons learned this year and for your accomplishments. Review how far you have come and set goals for the New Year. - Always send a handwritten thank you note. No exceptions, girls. - Don’t arrive empty handed! Show up to parties with a gift to express your gratitude. Wine, box of tea, LUSH bath bomb, aromatherapy oil, candles, rosemary bush – all make great ideas. - Thinking about going for that third piece of Grandma’s special treat? Instead, fully enjoy the first piece of cake by staying aware of each bit you take. - If you do overindulge, go easy on yourself and get back on the healthy, tranquil bandwagon the next day! Ok, now to address your question! We are often thrown into situations that are less than ideal - on the subway, with family over the holidays, with a challenging colleague at the office. The only thing we have control over is our reaction to these situations, not the situations itself. I now, bummer, huh? AND probably sounds much easier said than done - especially when you're stuck on the couch with a not-so-tranquil family surrounding you. Considering you can't escape easily behind closed doors, taking what little time you can to regroup can be very important - calling a friend from home during a leisurely outdoor stroll, taking a hot bath, escaping to a nearby bookstore or movie theater, pulling out your iPod and listening to something inspiring. Sometimes we have to create the comforts of home within a chaotic environment and just go with the flow. I definitely encourage all of us to avoid situations that make us cringe but also recognize that some cannot be avoided and these situations can be our very best teachers. Pema Chodren writes about this in The Wisdom of No Escape. She says that our demons are our teachers and they will continue to appear on our path until we learn the lesson that they came to impart. Once we learn the lesson, they will be friendly, warm-hearted companions on our journey. I like this message, although I feel your pain and know how disheartening it is to be in a situation that you'd do anything not to be in. 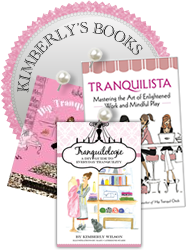 thank you sooo much for posting these tips, kimberly! it really means a lot and resonated within, especially as i constantly find myself surrounded by "toxic" family members and a myriad of holiday obligations this week. i will do my best to remember to stay in the present moment, carve in some "me" time and most importantly... breathe. cant wait to do my 2008 goals and figure out what's next. wishing u the merriest celebration, and some very happy holidays! Those are all really good tips! Thank you, Kimberly! May I also make a suggestion? Bach Flowers! I had wonderful experiences with them. They are a natural medicine, extracts of flowers like gentian, mimulus, rock rose, clematis etc. that can be taken as drops or globuli, with or without alcohol. Last summer they helped me so well, that after only a few days I decided: "I can do without them now!" There are a lot of websites where one can take a test to decide which Bach Flowers or which combination is best for oneself: whether you are nervous around your family, inexplicably scared all the time, angry, depressed or suffering from any other emotional imbalance. The best known combination is "Rescue Remedy" which promises to "comfort and reassure". oh, wow -- thank you so much for posting this! this could have been an email i wrote in... except i at least get the guest bedroom, not a couch! i keep saying that next year i'm skipping the holidays and going on a vacation by myself... but i still have this year to get through. THANK YOU for you tips and warm words.